If you've had a DSLR for any amount of time, you've likely realized a few things. First, there's a lot to learn about how to use your camera. Second, there's a ton of accessories out there that you can purchase to expand your camera's capabilities in an effort to capture better photos. But man, is it exciting! On the one hand, learning how to use your DSLR to its fullest extent is awesome because the result of your hard work is (hopefully) images that are wall-worthy. But like most artists, photographers are usually in pursuit of a better photo, no matter how great their last one was. That's where all the accessories come in. I wouldn't say that I have Gear Acquisition Syndrome (GAS), but I do enjoy the hunt for the next gadget or doo-dad that I can try with my DSLR. In that spirit, I've compiled a list of a few items that I certainly enjoy, and I think you'll enjoy too. If you're looking for a do-it-all camera remote, Spark by Alpine Labs is it. Spark is that tiny gadget on top of the camera in the image above. But don't let its small stature fool you - this is one powerful remote! Use it as a wired trigger, an infrared remote, or as a wireless trigger using the Spark smartphone app. That means you can take long exposures, selfies and group photos, and even real-time and time-lapse videos, all with the same remote. If the 30-foot infrared range isn't enough, simply switch to using the smartphone app, and you can control Spark from up to 100 feet away using Bluetooth connectivity. Even better, if your phone runs out of juice, you can use Spark on its own to program time-lapse intervals! 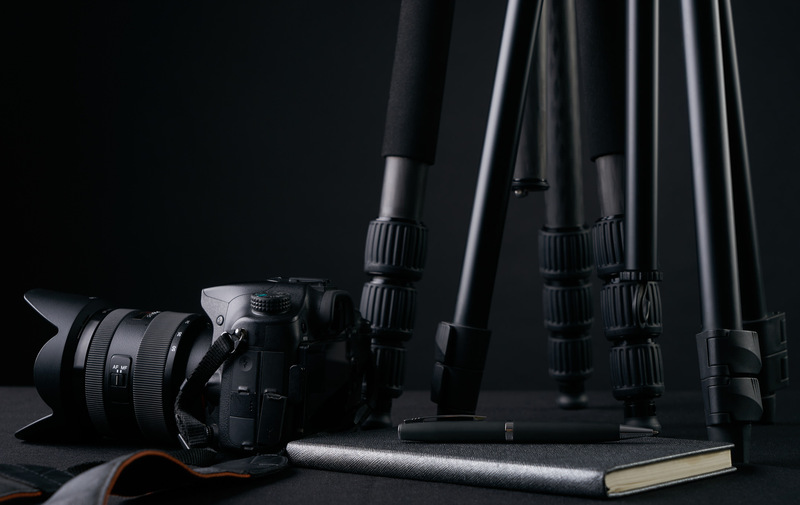 Obviously, a tripod is an essential component of your DSLR swag bag. Like a lot of other camera gear, you certainly get what you pay for when you buy a tripod. I'll admit, I gave some cheap tripods a try, and as you can imagine, I went through them one after the other because they always broke. 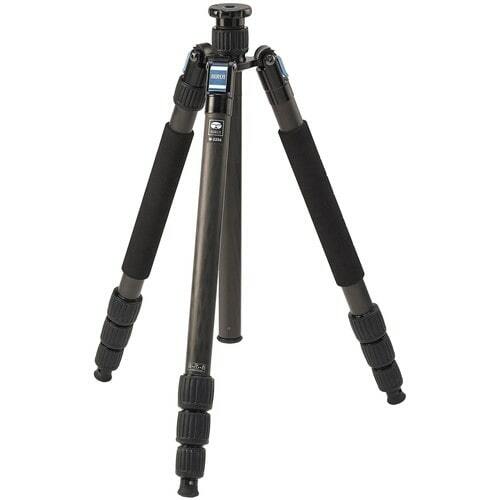 Then I got my hands on the Sirui W-2204 tripod, and I haven't bought another one since. Not only is this thing waterproof (which is great for my long exposure adventures at the beach) but it's built like a tank. But that high-quality construction doesn't mean that the tripod is heavy. You get something that's durable and lightweight (and easy to setup and take down, too). It's also versatile - remove one of the legs, attach it to the center column, and you have yourself a monopod. It can even hold up to 40 pounds - more than enough for my DSLR and a big lens. Learn more about the Sirui W-2204. As much as you need a full-sized tripod, sometimes you'll encounter a situation in which you can't use a full-sized tripod, or you might simply want to travel lean and mean and leave your tripod at home. That's where HandlePod comes in. This versatile accessory gives you all sorts of options for supporting your DSLR. You can mount your camera to it and use it as a tabletop quadpod. You can also hold HandlePod in your hand with your DSLR attached and use it as a handle for taking stills and videos that have reduced camera shake. Press it against a solid object like a tree trunk, and you can get more stable photos as well. As seen in the image above, you can also lash HandlePod to a stationary object, allowing you to take group photos or selfies without worry that your camera will tip over or fall off. It's small too - small enough to fit in your pocket - so it is certainly easy to carry around. I find a lot of my colleagues invest a ton of money in their cameras, lenses, and other accessories, but then still carry their camera around on the cheap, uncomfortable strap that came with the camera. The Piuma QR camera strap is incredibly soft, amazingly comfortable, and light as a feather. The strap has a unique shape that allows you to comfortably carry your DSLR over the shoulder, around your neck, or across your chest. And if you're a tall person (like me) or short, with dual length adjustments, the strap will fit you like a glove. Better still, the Piuma QR strap has a quick release camera attachment so you can quickly and easily remove it from your camera. That comes in handy when you mount your camera on a tripod and don't want your strap flapping around in the wind. 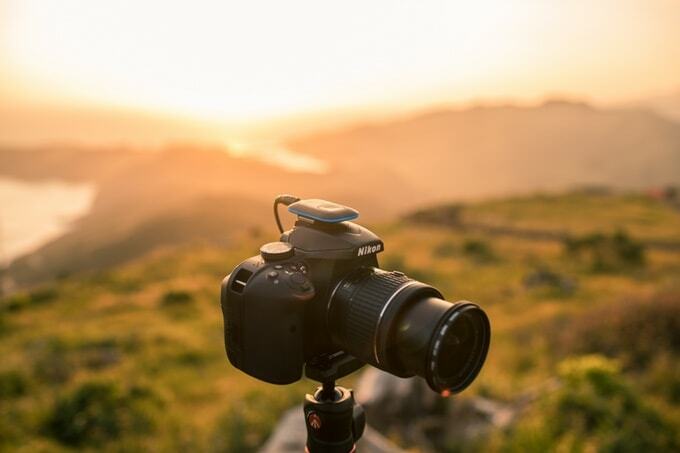 Add to that a memory foam pad, high grip technology that keeps it from slipping on your shoulder or neck, and stunning aesthetics, this is the camera strap you need for your DSLR. 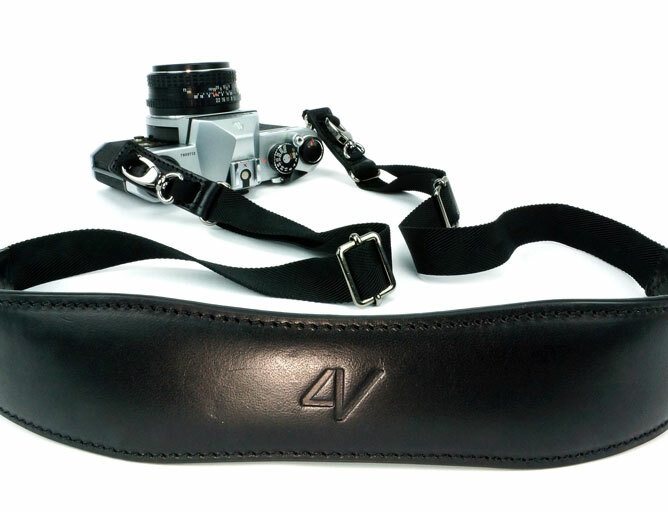 Learn more about the 4V Design Piuma QR Camera Strap. If you're a landscape photographer, a solid set of filters is as much of a must-have as a good lens. There's plenty of obstacles landscape photographers face, from uneven exposure from the sky to the landscape, not being able to use long shutter speeds in the daytime, and sunset photos that just aren't quite right from an exposure perspective. The included Firecrest 6-Stop ND filter allows you to take long exposures even during the daytime. The Firecrest ND soft edge grad filter brings the dynamic range of landscapes into a more acceptable region by darkening bright skies and leaving the landscape unfiltered. The ND reverse grad helps you perfect sunrise and sunset photos by evening out the exposure with the darkest filtration in the middle of the filter, right where the rising or setting sun would be. 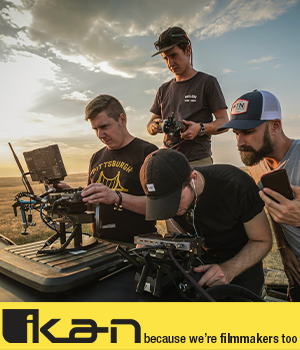 The kit comes with all the hardware you need too, including a Firecrest 100mm filter holder, step rings, and an 82mm rotating adapter ring. 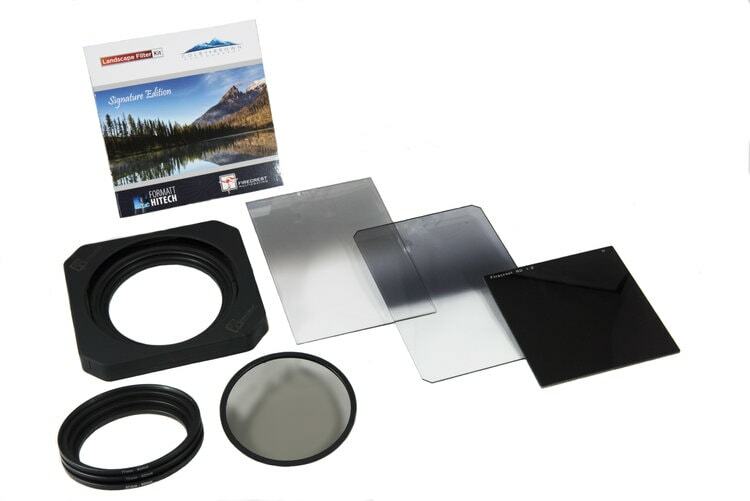 That makes this an all-in-one filter kit for DSLR shooters. Learn more about the Colby Brown Signature Edition Landscape Photography Filter Kit. 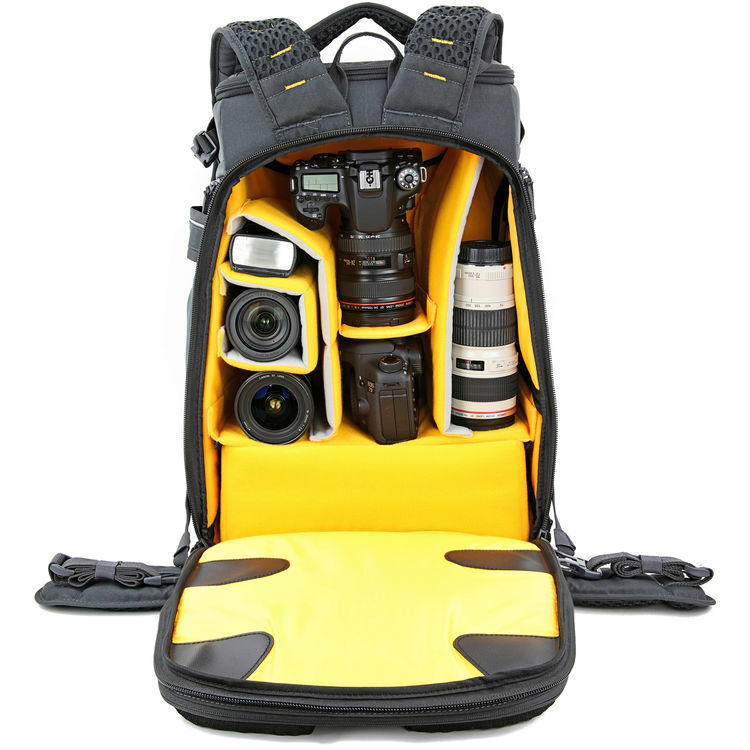 Of course, you need something to carry your DSLR, and Vanguard camera bags are among the best. Pictured above is the Vanguard Alta Sky 51D, a camera backpack that's purpose-built for the DSLR shooter on the go. Not only can you carry your gear in comfort with an ergonomic Air System back, but the Alta Sky 51D also gives you plenty of support with a harness and waistbelt that helps spread the load out across your chest and hips. There are multiple entry-points into the bag as well, so you can grab your gear from the back, side, or top - whatever is easiest at the moment. You don't have to dig around looking for your gear either. As you can see above, the interior compartment is beautifully organized, and with that bright yellow interior, you won't be lacking for an ability to see what's inside, either. Carry one or two DSLRs with the lenses attached, a few lenses, memory cards, batteries, a camera remote...you get the picture. It's a bag that can fulfill all your carrying needs! Learn more about the Vanguard Alta Sky 51D. As DSLR accessories go, you can't get much more bang for your buck than this flash. It's smart to be leery of off-brand accessories because the chances are good that they just won't be up to snuff and you'll be replacing them sooner rather than later. However, that's simply not the case with the Yongnuo YN560. This is the latest in a long line of Yongnuo flashes that have a solid reputation for build and performance. For about $70.00, you get performance from the flash that's similar to name-brand flashes that cost three or four times as much. It supports wireless master functions and can perform as a wireless slave as well. It's even got a multiple trigger synchronous mode so you can fire multiple flashes at the same time. 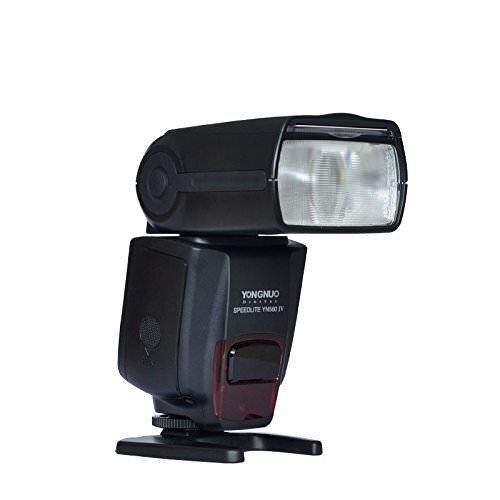 If you're on a budget - heck, even if you aren't - this flash will serve you well without breaking the bank. Learn more about the Yongnuo YN560 IV. When it comes to memory cards, you want something with plenty of storage space, but you also want something that has a fast read/write speed. With a read transfer speed up to 2000x - or 300MB per second - you'll be able to transfer your images in record time. It comes with an SD UHS-II reader as well, so high-speed file transfers from the card to your computer can be done quickly. 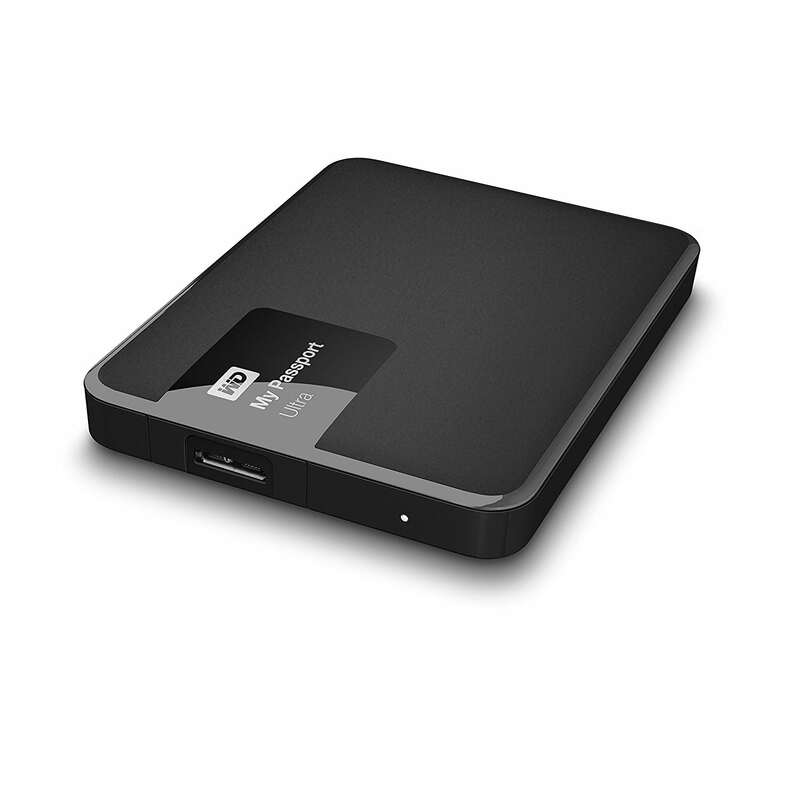 You'll have plenty of space for your stills, HD videos, and 4K videos too with 65GB of space. It even comes with image rescue software should something go awry. That's a lot of features packed into a tiny package! 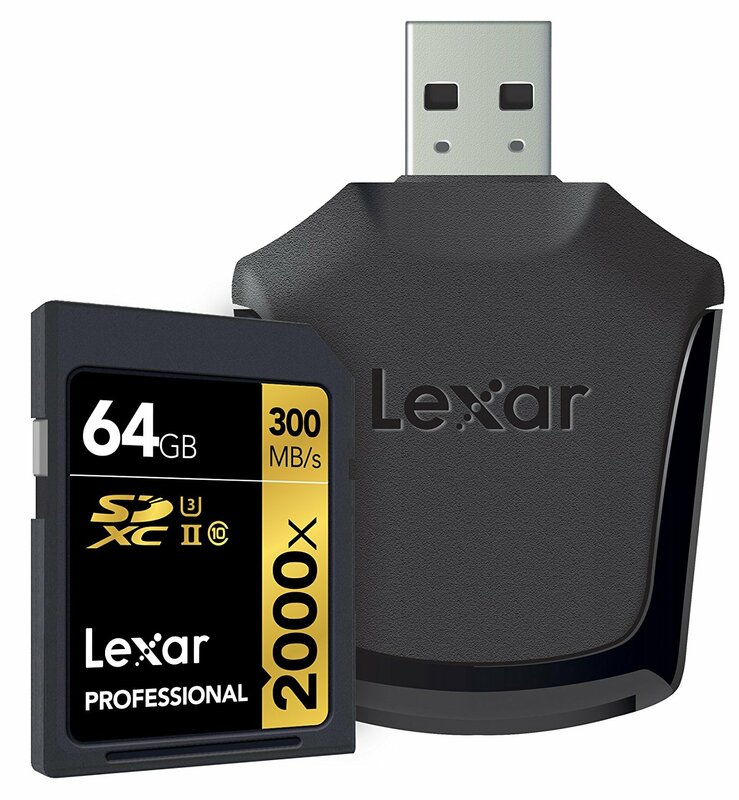 Learn more about the Lexar Professional 2000x 64GB SDXC Memory Card. Part of your image storage and organization should include an external hard drive, and it's tough to beat the WD 1TB My Passport. It's certainly got the space, and with a 4-inch form factor, it doesn't take up much room either. That means if you use your DSLR at home or on the road, you have a huge amount of storage space right at your fingertips. The hard drive has password protection and hardware encryption to keep your images safe, and with a WD backup option, you can back up your images to Dropbox for even more security. Transferring files is easy and fast too, with USB 3.0 connectivity. You get peace of mind with a 3-year limited warranty as well! Learn more about the WD 1TB My Passport. There's no point in buying all the accessories above if you don't keep your DSLR's sensor nice and clean to produce the best possible images. What makes Delkin Devices' kit so good is that it comes with a scope that allows you to get a good view inside your camera for easier cleaning. With three different sizes of swabs, you have flexibility in terms of what you use to clean the sensor. There's even a Sensor Pen that has a retractable cleaning brush and a dry cleaning element. The kit also includes a tiny vacuum with a static-free brush tip to get big chunks of debris and suction it away. In other words, this kit has everything you need to do some sensor housecleaning in a quick, efficient, and safe manner. Learn more about the Delkin Devices SensorScope Cleaning System. A list of the best items for your DSLR wouldn't be complete without a tool that brings something to the table that other accessories can't: inspiration. I know I get in a rut sometimes, and when my creative juices need a boost, the first place I turn to is Lightbox Photography Cards. This set of 52 cards by award-winning photographer Paul Michael Kane has a photography idea for every week of the year. Not only does that help give you idea after idea for your photos, but it also encourages you to grab your DSLR and get out there to shoot. Just pick a card, read the challenge, grab the necessary gear, and you're all set to explore creative photography like never before. These challenges are easy, straightforward, and fun, too! 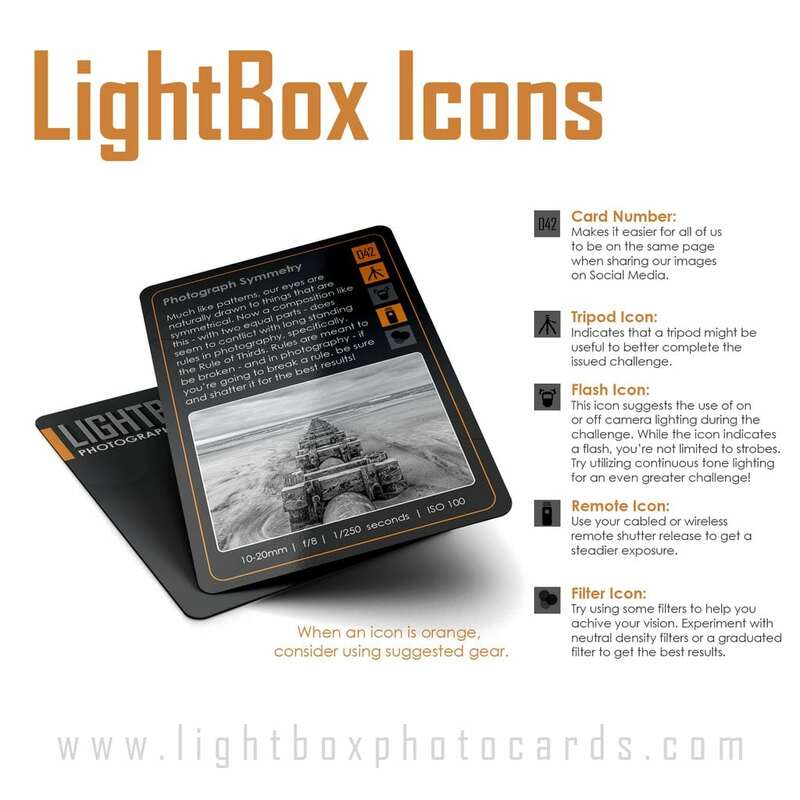 Learn more about Lightbox Photography Cards.